Training your dog to stay means helping him to understand that you expect him to sit, or lie down, in one spot for short (or later on, extended) period of time. He also needs to understand that you don't need to be right next to him while he 'stays'. 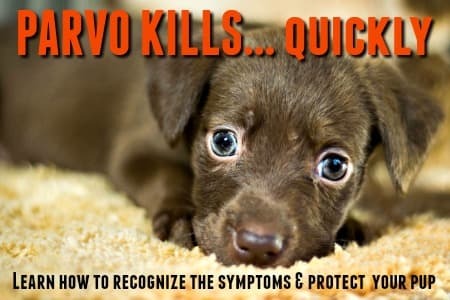 You can probably already see why this is so useful and having your dog know how to stop and 'stay' on command could even save his life in certain situations. Most pups and dogs grasp this basics of this obedience command pretty quickly. As Fido 'gets the hang of it' and you progress to more advance dog obedience work, you will be expecting him to stay still (in whichever position you put him in) for longer and longer periods. But start off simply and work up to this level slowly, go too far too fast and he'll lose the plot! Most puppies will learn to do a 'Sit-Stay' quite happily (and at first it's often easier to get him to stay still when he's sitting rather than lying down) but don't expect him to stay put for more than a few seconds at a time to begin with. Also, don't be surprised if Fido slides into a 'down' position, just re-arrange him into the 'sit' and repeat the 'stay' command. 'Sliding down' isn't a big deal if you simply want your pup/dog to learn to stay in one spot, but in a formal obedience setting it's a big no-no, so it's worth making sure he learns how to do it properly now. Start with your puppy in the sitting position beside your left leg. Hold your palm in front of your pup's face, while telling him to 'Stay'. If he doesn't move to follow you, immediately tell him 'Good stay' and give him a treat. Once Fido is reliable about staying put when you step around to stand in front of him, it's time to move to the next stage. This involves you stepping backwards away from him while repeating the 'stay' command. Keep your hand raised, palm facing your pup and repeat the 'stay' command. Once he's mastered this it's just a matter of gradually increasing the number of steps that you take backwards, and the length of time you ask him to stay put. I usually work on the distance first, then add the extra time frame. I've found if I try to add both at once the pup can get confused or worried and we slip backwards a bit. All dogs are different and yours may start to get antsy when you're less than a foot away from him, others will tolerate 3 feet or more before they start to worry. You know your pet best, so use his behavior as a guideline. Get as far as you can without triggering his instinct to follow you and work at that distance until he's comfortable before moving further the next time. Build up slowly and be patient. 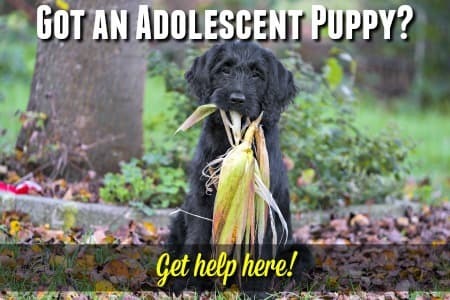 Eventually you can progress to having your puppy in the 'sit' or 'down' position and then moving out of his line of vision, then coming back in and returning to him without him moving. Yes, really. Have him accept you moving away from him without trying to follow you. These skills come in very handy in all sorts of situations. 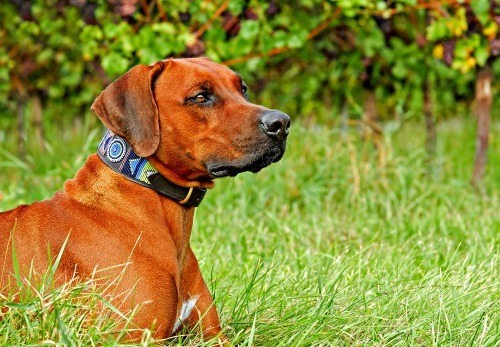 At home, you can make sure your dog stays out of the kitchen while you're preparing dinner, or waits at the door rather than running after you to the mailbox. 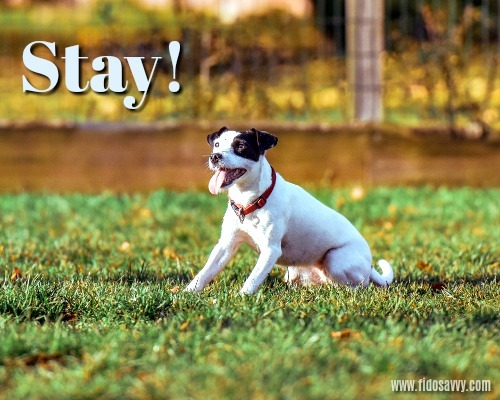 When you're out and about, you can use the 'stay' command to keep him from running into the street, chasing after other dogs (or cats), or bothering other people at the vet's office, cafe or whatever. Hand signals can be used for many of the most popular dog obedience training commands. The 'Stay' command is a natural fit for a physical (hand) signal because dogs instinctively seem to understand the universal hand sign for stop!